Take down as many of these enemy troops as you can. Your fellow soldiers are depending on you! 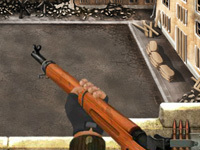 Tell us what you think about World War Battleground. Leave a review or share a tip.